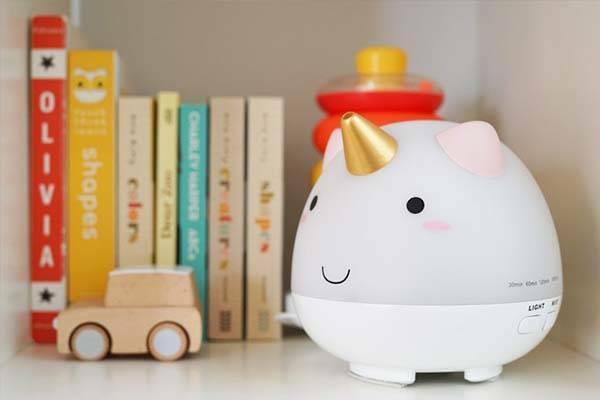 The Elodie unicorn ultrasonic diffuser not only add moisture to the air of your room, but also brings some cute mysterious atmosphere in the room. Like the idea? Let’s keep checking. This is a beautifully designed and practical ultrasonic diffuser that measures 5 x 6 x 5 inches and weighs 12 ounces. As shown in the images, same as the Elodie teapot, the diffuser is inspired by unicorn, and the smooth and rounded body shows off those iconic yet more adorable details including golden horn, rainbow mane and more, while the cartoonish expression makes it more vivid and lovable. 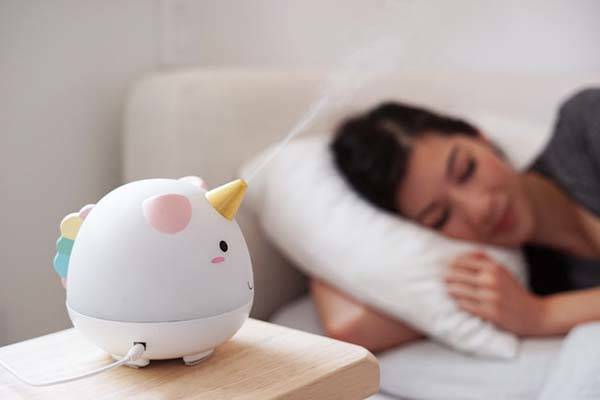 Using mist mode, the Elodie unicorn ultrasonic diffuser delivers 6-8 hour running time until water runs out, and its auto shut-off mode provides three time intervals including 60 minutes, 90 minutes and 180 minutes. Furthermore, the diffuser also features an integrated LED night light, and multiple optional colors allow it to meet different preferences and help user set the mood. 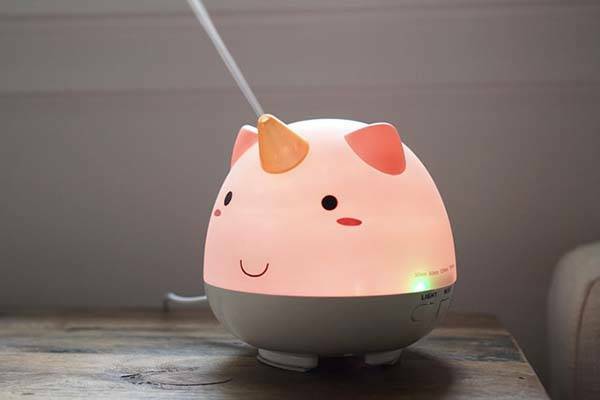 The Elodie unicorn ultrasonic diffuser is priced at $99.99 USD. If you’re interested, jump to Amazon for its more details.